What’s the video about? Islam for kids, age 8 and up. For anyone who isn’t sure: what are the 3 core parts of Islam? For example, what is al Walaa wal Baraa? Short video – fun, simple, clear. Kids understand Islam in just 9 fun minutes. Adults too. Also great for teachers and parents, to explain Islam to kids. 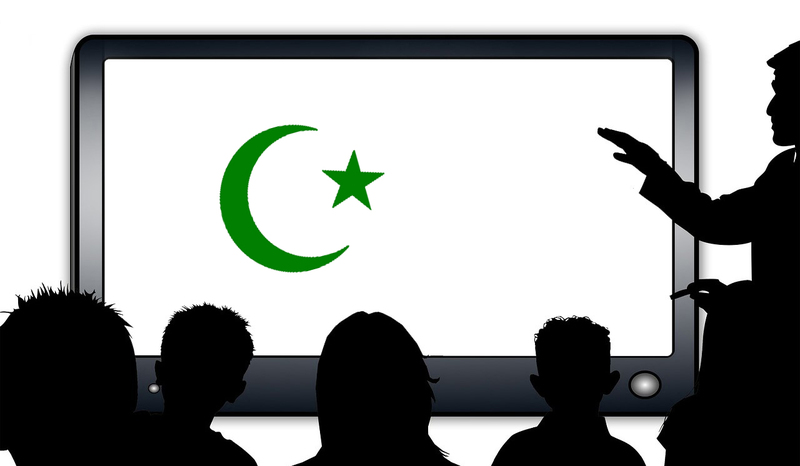 The 3 core parts of Islam: who, what, and how. Plus the outcome, according to Islam. Plus, some of the rules of Islam, which can’t be changed, according to Islam. All in just 9 fun minutes. Very easy. Very simple and clear. By the way, I’d love to hear back from you. Thanks for the video. I had seen it before and would love to see it get out to kids but with everything to do with the counter-jihad message the problem is not the product but the marketing. I set up the blog for Classroom Watch intending to make it an ongoing thing but, try as I might, I couldn’t raise any interest in it. That surprised me because I would have thought that people were more concerned for their kids than for themselves. I will leave Classroom Watch up for now but I do not see any point in adding to it. Shame! Re: marketing. I see that the problem is the suffocation of our message – partly through the forces overtly against us (Islamic, etc) – but also in huge part through the inside self-suffocation of many in the West. My thought (let me know what you think): FEAR IS THE KEY. It makes no sense otherwise, what people are allowing to happen – what’s happening in the schools, the no-go zones in one country after another, and in Canada recently someone given a 5-month sentence for a scrawl on a park bench (“no more muslims”) while a muslim taxi driver did not get any prison sentence for sexual assault. I know similar stuff is happening in the UK, with someone sentenced to a year in jail (where the person died) for some pork-related offense while Islamic preachers have been allowed to do hate preaching for years, very openly. If it can add anything to the cause then I will persist with Classroom Watch.